Amrutham, a TV series aired on Gemini TV, was one of the best and most popular sitcoms in Telugu. Gunnam Gangaraju had created the TV series and it ran for nearly six years in early 2000s. The TV series is now being made into a film and the shooting has already begun. 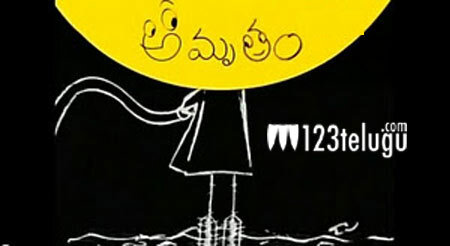 The film has been titled as Chandamama Lo Amrutham and a special set has been erected for the film’s shooting in Annapurna Seven Acres Studio. Inturi Vasu, who played Sarvam, and Sivannarayana (Appaji) will be playing major roles in the feature film version. More details about the film will be announced soon. The Amrutham TV series gave a new lease of life to several actors like Sivaji Raja, Naresh, Harshavardhan, Jhansi, Gundu Hanumanthu Rao, Inturi Vasu among others. Kalyani Malik had composed the theme song, Chandrasekhar Yeleti had directed several episodes and S S Kanchi had acted in the TV series. After YouTube became popular in India, the TV series was posted online and the response, so far, has been excellent. In mid February 2013, the TV series had got more than 10 million hits.